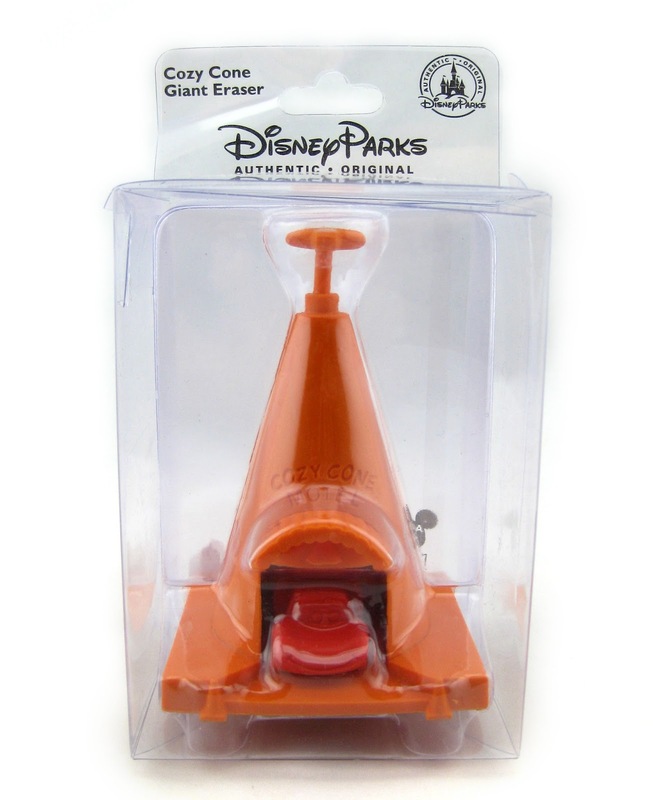 One of the souvenirs I picked up is this cute "Disney Parks Authentic" Cozy Cone Giant Eraser! It was on sale for practically nothing (like maybe $3? ), so I figured why not? For me, the Cozy Cone Motel in Cars is an iconic part of Radiator Springs and I thought this would look cool on display with my other Cars Land memorabilia. 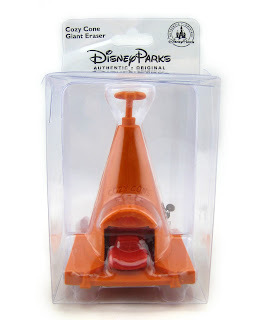 The whole cone stands at about 5" tall and includes a removable little 1.5" Lightning Mcqueen. Both the cone and Mcqueen are pencil erasers (made of a standard synthetic rubber), though I don't know how well they actually erase. If you're interested in picking one of these up for your collection, you can find this at Disney's California Adventure or on eBay using this direct link. Please let me know if you have any questions or comments and be sure to check back daily for more from my Pixar collection!